The first iteration of Critical Gun Safety is live. Simply follow this link to take a look at the course details then add it to your cart! I am really excited to get the course started and am looking forward to your feedback! I will see you in Critical Gun Safety! Click here to receive important gun safety information directly in your inbox! Gun safety is the most important gun skill that you can posses. The reason is simple in my mind. You see, if you make a mistake with gun safety the consequences can be irreversible and extremely serious. A mistake with a gun can lead to death. Guns themselves aren’t dangerous by themselves, but when a human interacts with a gun, that is when the trouble can start. If you are new to guns or shooting you might have a gun safety issue that results from an imbalance between your competence and your confidence. Maybe you are worried about or even fear the consequences of a mistake with a gun. If this fear keeps you from using your gun to practice or to train, that is a bad thing. You need to practice you need to train so that you can improve important shooting skills. Maybe things tip in the other direction. You might be a new shooter that DOESN’T understand the seriousness of gun safety. If you approach it without the respect gun safety demands you are at risk of an accident from ignorance. Experts aren’t immune from gun safety concerns. In fact, I often see experienced shooters make gun safety mistakes in two different scenarios. The first is when the you simply becomes complacent. You are a pro, you know gun safety, you understand how to apply it and yet you simply get lazy. Or maybe it is a bit more serious. Maybe you feel like an accident just isn’t going to happen to you. You follow the rules when you go to the range because it isn’t worth getting hassled by the RSO or the instructor, but when no one else is around, you do it your way. It doesn’t matter if you are a beginner or an expert. Or if your skills, knowledge or confidence are the issue. The potential result is the same. Serious injury or death to you or someone else. None of us want that, but so few are willing to take steps to address the problem. The solution isn’t terribly complicated and it all comes down to gun safety education. Really it is that simple, and I have been working to make a difference by teaching in-depth gun safety skills in all of my classes for more than a decade. I just don’t seem to be reaching enough people. 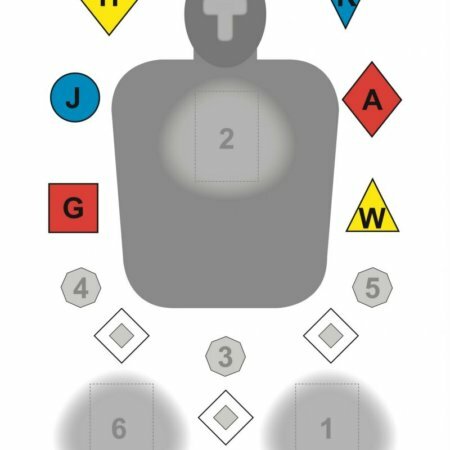 I also think that some folks think that the safety brief is just a necessity before the I’ve fire starts. Instead, I think gun safety might be the most important part of the course. That is why I decided to create an independent gun safety course. It is important enough that gun safety needs to be a stand alone topic. Now it is. This is why I created Critical Gun Safety and it is why you should seek out specific gun safety training from an expert. Gun Safety Training makes sense. Taking a quality gun safety class is a solid foundation for everyone that has the potential for interacting with firearms. If you are new to guns, this is the foundation that you can build upon to ensure that you gain the maximum benefit from your time with firearms and minimize the risks. Having a foundation in gun safety will help you to ensure that your skills, understanding and your belief in yourself are all in alignment so that when you handle firearms you can do so with the appropriate confidence regardless of of the situation. If you are seasoned gun aficionado, your gun safety training will serve as reinforcement for the foundation that you should have established in gun safety. The fact that we will look at gun safety beyond “a set of rules” and approach your safety from a conceptual aspect will help you to develop a new respect for safety in general and when it comes to guns in particular. This kind of a refresher will rekindle your attention to your safety and the safety of others. Learning about gun safety has a significant number of benefits that people don’t think about that extend beyond safety itself. Your gun safety foundation with encourage you to practice with confidence and to attend training courses so that you can extend your learning farther and faster. Critical Gun Safety is an online gun safety course that addresses gun safety from a conceptual level. The course specifically addresses the intricacies of gun safety from a conceptual level and supports those concepts with the critical details you need to safely interact with guns. The course approaches safety from a practical standpoint and focuses on defensive handgun safety. At the same time, the principles apply to firearms in all disciplines. It doesn’t matter if you shoot for defense, fun, sport, or competition, the big ideas and the details apply across the board. When you make your purchase you will receive lifetime access to all six modules of Critical Gun Safety which contain video lessons and are supported in many cases by audio and written content. The course will be updated as the material is updated and you will receive access to new material as it is posted. You will have the opportunity to interact with me and other gun safety experts in our Critical Gun Safety FaceBook group where we will discuss the course content and the real life application of gun safety and for a limited time I’ll also be including a series of video lessons on how to shoot your handgun with more speed and precision. Of all the things that you recieve when you purchase Critical Gun Safety by far the most important is the peace of mind that you will build as you complete the course. Quality gun safety education is incredibly empowering and has a tendency to transition people from timid unsure gun owners to those that have a solid understanding of safety and a confidence to take the action they need to take in order to keep themselves and those that they love safe. The choice is up to you. You can remain a casual gun owner that “thinks” they know about gun safety, or you can take the responsibility of the Second Amendment seriously and make certain that you understand gun safety and implement it into your life. Sure, it will take some work, but when you put in the time, the rewards will be yours as well. Your confidence and your competence will both be increased and so will the level of real safety in your life. 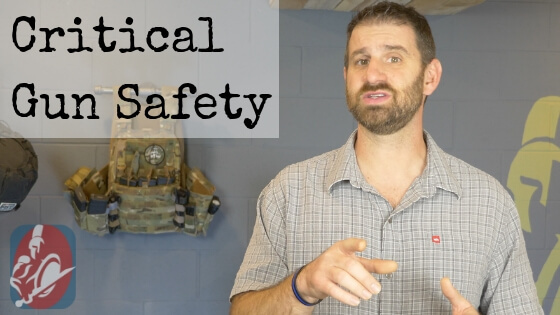 Critical Gun Safety and the effort you invest in it will keep you and those that you love safe from the consequences of an accident with a gun. Now is the time to act. Get yourself registered for Critical Gun Safety and take action to improve your understanding of gun safety.